Unique Lighting Systems expanded its line of outdoor transformers with the introduction of its new 150W LED transformer. Featuring a 15 amp resettable circuit breaker for fuse protection, the 150SSSL-LED comes with multi-tap 12 v, 13 v, 14 v and 15 v outlets for multiple voltage range options and a 10-year warranty. In addition to its stainless steel construction and lockable front cover, this transformer includes mounting hardware for fast and easy installation, the company said. 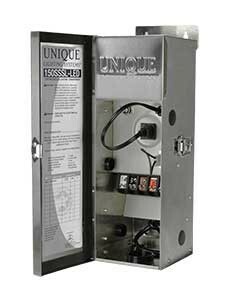 The 150W transformer is compatible with all Unique Lighting Systems fixtures, Flex Gold Series LED lamps and Unique Lighting’s Light Logic Wireless Control System for automatic control of outdoor lighting using a remote or mobile device.